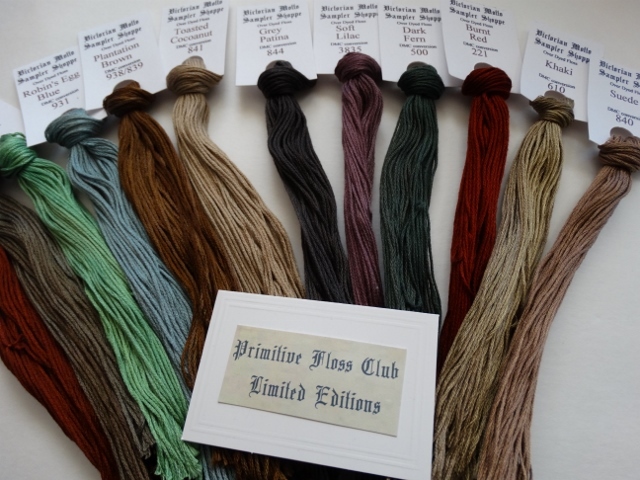 Victorian Motto Sampler Shoppe: Limited Edition colors for March Preview!! 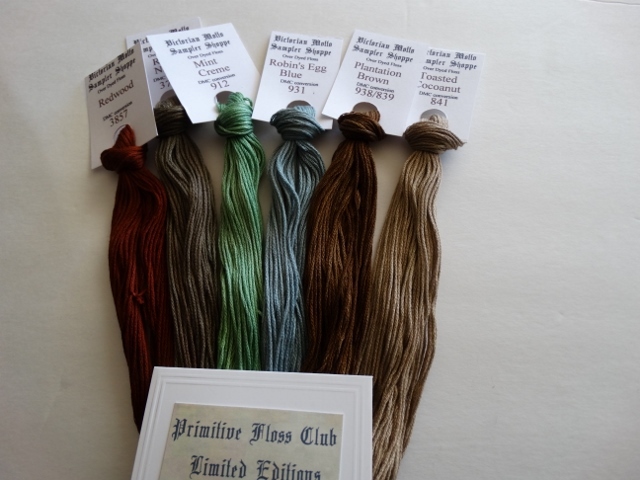 A customer asked if I would post the pictures of the floss for the Limited Editions and Primitive Limited Editions for March......and I said yes! 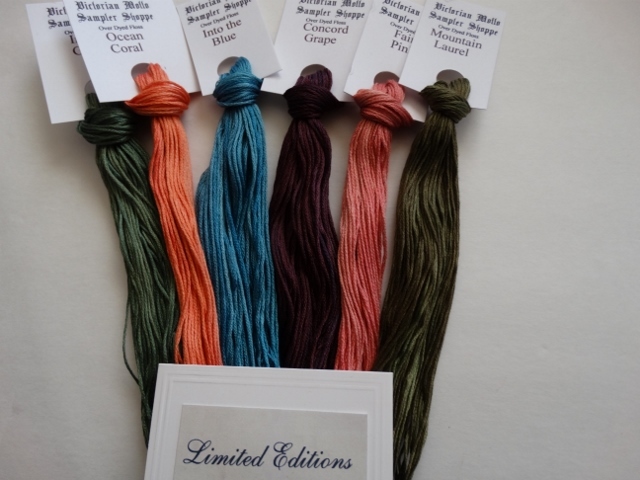 The hardest part is picking 6 for the smaller set....I try to do a nice selection of colors for you. Here are my selections for 6 and the box of 12 for the Limited Editions for March (I know...now you have to wait until I mail them!) And I think my monitor is showing the colors a little brighter than what they are. They are very rich looking but soft and not abrasive. Glowing Orange, Ocean Coral, Into the Blue, Concord Grape, In My Garden, Fairy Pink, Royal Purple, Everglade, Mountain Laurel, Confetti Brown, Dusty Mauve and Purple Mum. Please remember that I can't sell singles from one collection unless you have purchased that collection and need an additional skein of a certain color. 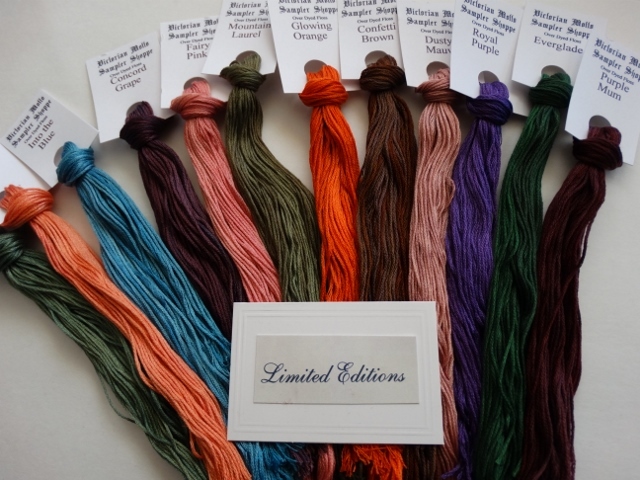 The singles go quickly so let me know right away if you are needing more of a color. These are very limited. And here are the Primitive Limited Editions for March, the smaller set of 6 and the box of 12. Invoices will go out on the 1st as usual. If you have prepaid for the year your floss will go out on the last day of this month to make it easier for me on the 1st will invoicing and packing. If I have extra boxes I will list them on ebay. They are priced for 12 skeins and not the discounted club price with a free skein. After all....you need a reward for joining the club! Remember you can join at any time and get the current month or the next month. Join for as long as you would like. Info on the side bar at the right. All I can say is wow!!! I can't wait to get my hands on them!! They are totally awesome!!! Ooohhh, Thanks fr the sneaky peek! Oh, what pretty colors. Can't wait to get my set. Love them all!